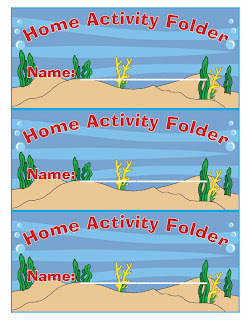 Home Activity Folder label is ideal to use on the front cover of a pocket folder for the students’ “homework” folder. 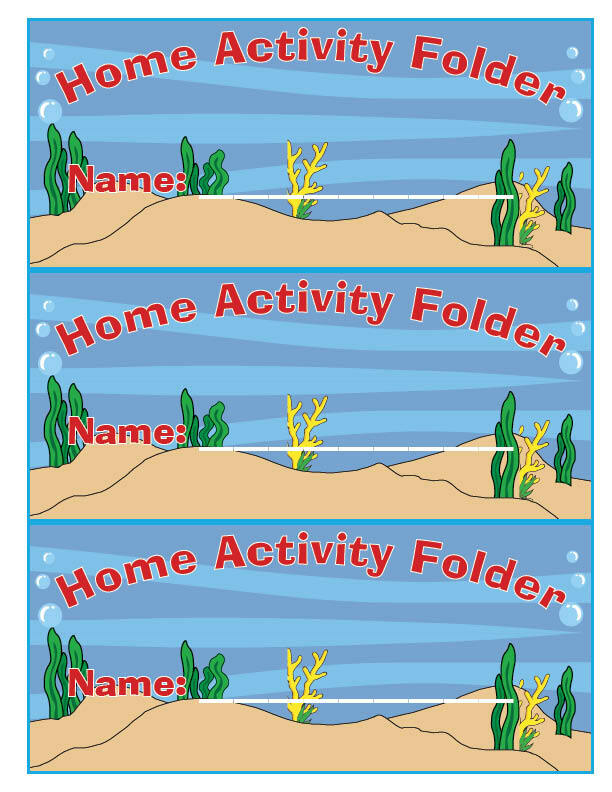 Images are from Borderbund (Print Perfect software) and Microsoft Office clip art. Directions: Print on either card stock or a heavier weight copy paper. Cut along blue border. I use spray glue to attach the label to the front of the folder and then I cover the label with contact paper. This way the label tends to last longer. Another idea would be to print on Avery’s full sheet label paper and then use the contact paper on top.